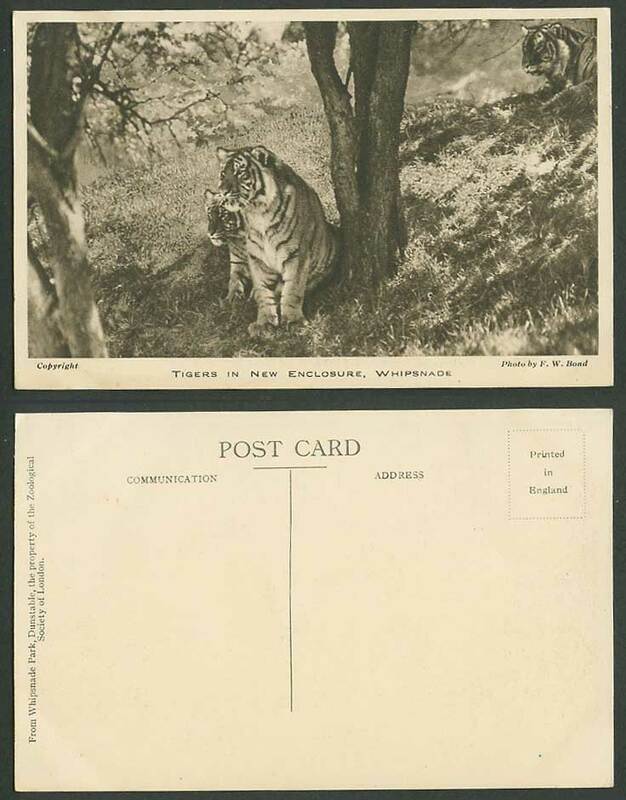 Vintage Old Postcard, Tiger Tigers. Animal Zoo Animals, Photo by F.W. Bond. From Whipsnade Park, Dunstable, the property of the Zoological Society of London.